where [User] is your Windows login name. This way, if you are traveling and not connected to the Internet, you could still work with the local copies of your files, and later on, when you do connect to the Internet, they would be synchronized with the cloud. This is convenient, but what if you lose your laptop, or someone steals it? They would be able to reset your Windows password and get an unrestricted access to all your files on the laptop, including the ones in the OneDrive folder. If you are concerned about such a possibility (and you should! ), to protect your files and documents from other people, you should move them to encrypted storage, such as a Virtual Encrypted Drive that you could set up with our software USBCrypt. Moving the regular files and folders into an encrypted drive is easy: you could just drag and drop them with Explorer. 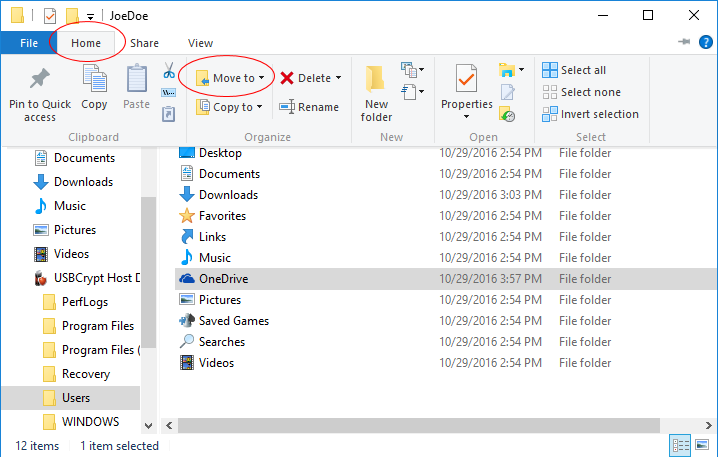 However, moving the special folders, such as OneDrive is a bit tricky. We show how to do it below. 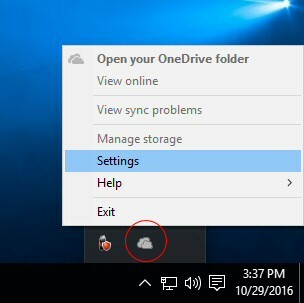 If you have not linked the PC to your OneDrive account yet, skip the first steps and go directly to Step 3. 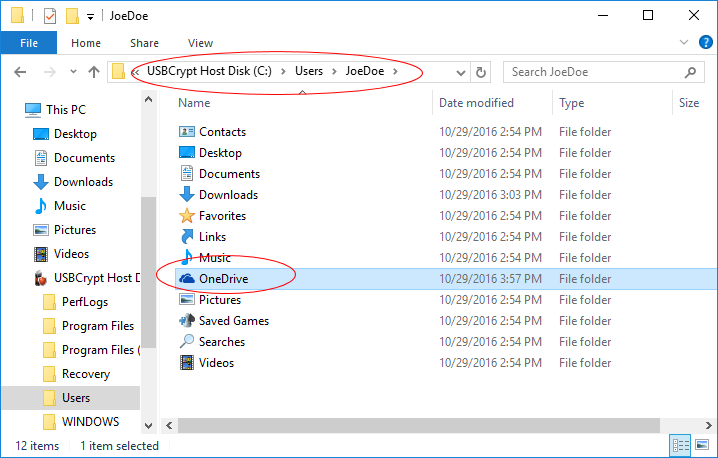 Otherwise, before you could move the existing OneDrive folder to an encrypted drive, you must unlink the PC from the OneDrive account first. Step 1. 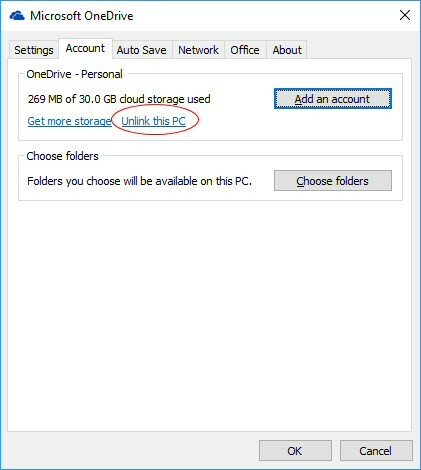 Unlink the PC from the OneDrive account. Confirm that you do want to unlink the PC (don't worry, we will link it back in a short while). 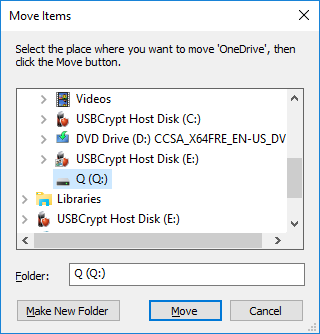 Now we are ready to move the OneDrive folder to the encrypted drive. Step 2. 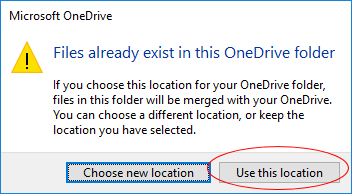 Move the OneDrive folder. Step 3. 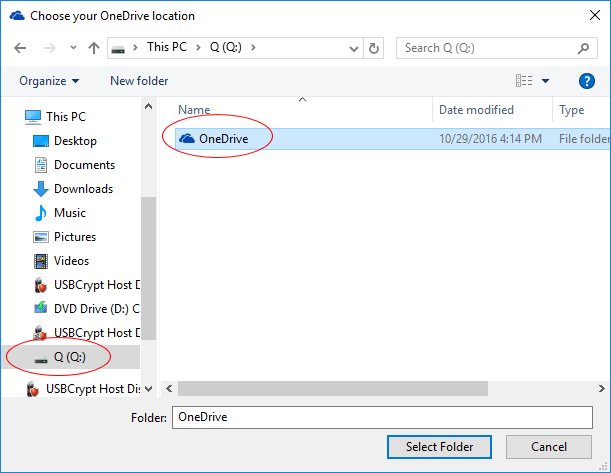 Link the PC to the new location of the OneDrive folder. 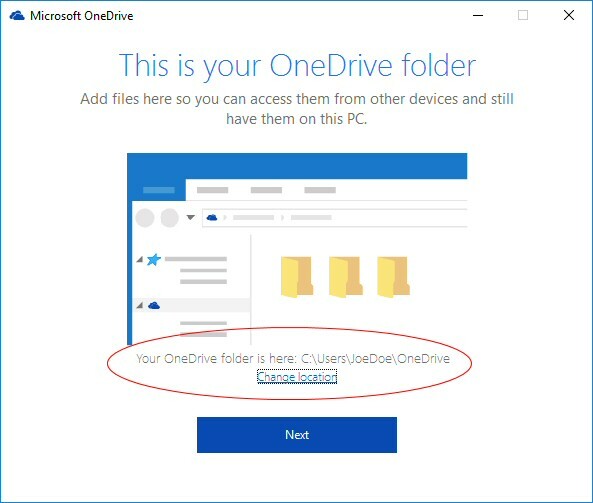 Finish the linking of the PC by selecting the folders of your OneDrive account that you want to be synchronized to this PC, and that's it, your OneDrive folder is now encrypted and ready for use!